Walking with Jen Ruggles door-to-door should not be a daunting idea for first timers. Kurtistown sign posting in the rain. 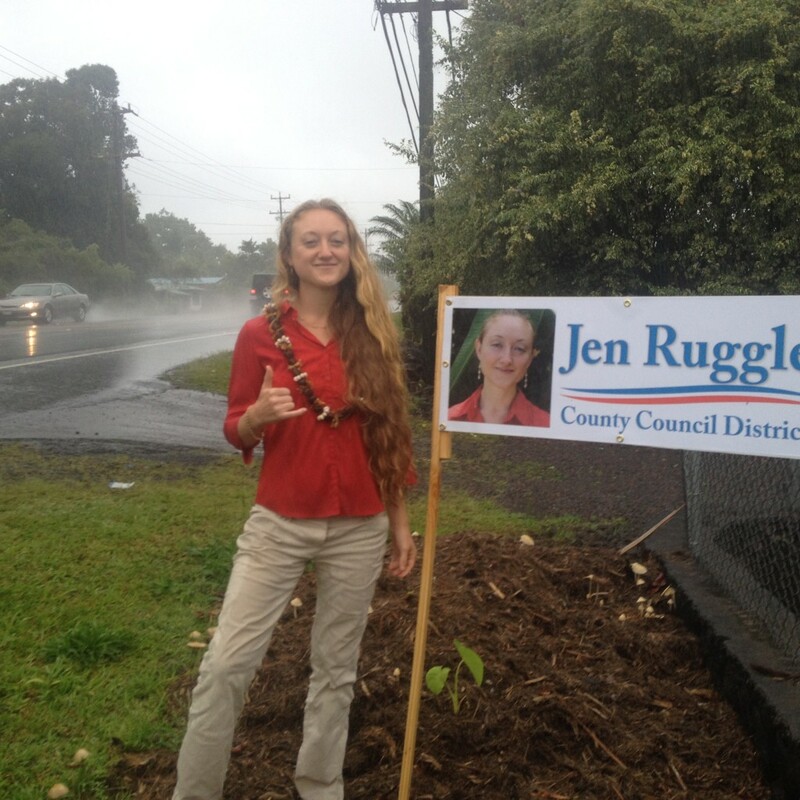 I have gone door to door for many campaigns and already my experiences with Puna born Jen Ruggles are the best. Our Council District 5 (from Pahoa Mauka to Upper Puna) walking campaign knows how to identify the homes that have registered voters. No conversations or interruptions are necessary with people who do not want to participate in our electoral process. Here is a recent picture of us, proudly putting up banners along the Volcano Hwy. Jen is committed to walking her district and meeting her constituents. She has a flexible schedule and is very accommodating. No worries, we will get you sunnier weather. Call us for more details or Sign up here. Elections, GeneralTagged banners, campaign, candidate, Council District 5, door to door, registered voters, Volcano Hwy.